I would like to receive occasional information and updates from Eoin's Birthday Project 2018 and jumblebee. 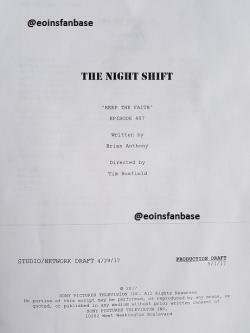 Thanks to the wonderful Esodie Geiger, also known as nurse Molly, you can now bid on an original script of The Night Shift, episode 4.07. Follow Esodie on Twitter via @esodiegeiger. "Hello, my name is Heather and I live in Alberta, Canada. When it comes to art, I have a passion for portraiture and landscape and I love to make beautiful pieces for others to cherish and enjoy. 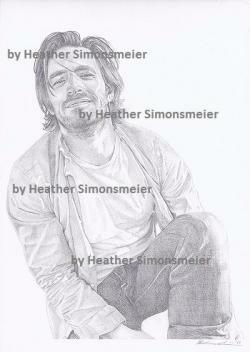 I specialize in custom drawings from people's photos. I took art classes throughout middle school and high school and discovered my love for portraiture, figurative, and landscapes. After graduating, I decided to pursue my love for creating something vivid and alive with pencils or paint. In 2013 I graduated from University with a Bachelor of Arts. I completed a double major in Art and Design and Math. Now I continue to do art in my spare time." Measurements: 8 x 16 inches. Postage and package are not included. 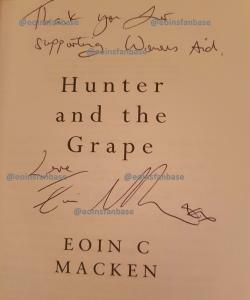 A signed copy of Eoin's second novel, Hunter and The Grape, with a personal message thanking you for supporting Woman's Aid. "Chris is a self-taught artist from Cardiff who is living with a form of autism called Asperger Syndrome. 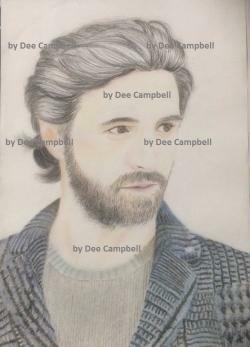 At the age of 14 Chris left school and during this period taught himself to draw. 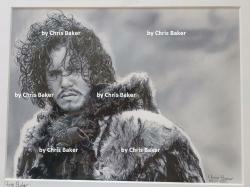 Chris’ artwork has been showcased on ITV news and Good Morning Britain and he has met many celebrities through his art. He now attends Comic Conventions selling prints of his artwork which are also available through his website http://www.cjbart.com.". The pencil drawing took Chris 30 hours to create. He used a 4B and 6H pencil, an eraser, a blending stump and tissues for blending. Measurements: 31 cm x 38 cm. 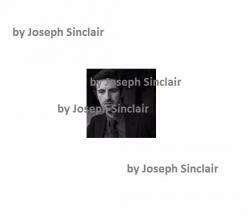 Item 6: exclusive photo of Eoin by Joseph Sinclair taken as part of a shoot he did with Eoin last year. "I began taking photographs when I was around eight years old. Fascinated by capturing people on film, now I’m fortunate to do it every day of my life. The wonderful thing about having a camera is you never know where it will take you, who you will meet and what the next exciting project will be.". Measurements: 30,5 cm x 20 cm. I am from Virginia Beach, Virginia in the United States. I am passionate about any and all things creative. My greatest achievements are my two beautiful daughters. Second to that is my love of the arts, from stage to page and everything in between. I have been inspired by my mother for as long as I can remember. I always envied her artistic abilities and never felt that I measured up to her so I always held back on creating works of art. Instead I channeled my creative tendencies in other ways, from drama and singing when I was young and most recently in words, by writing and self-publishing my first novel. Since my mother’s passing, I have heard her voice in the back of my brain telling me, begging me, to pick up a brush and paint; to not be afraid of creating… there are never mistakes, only happy accidents. So I did it. I picked up the brush and I am now enjoying creating as many happy accidents that I can. 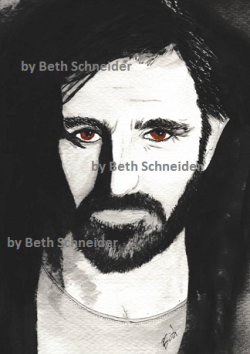 Follow Beth on Twitter https://twitter.com/whoami_bs. 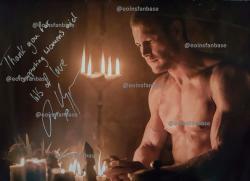 Still of Tom Hopper signed by the man himself, with a personal message thanking you for supporting Woman's Aid. "I’m 19. Self taught artist. Failed art in high school. Aspiring actor (was an extra recently for The Siege. Had 2 days on set). 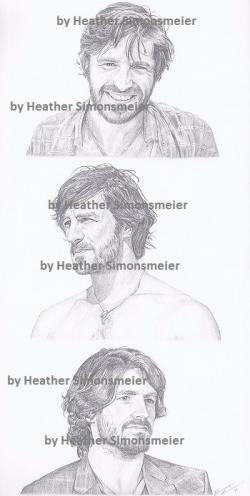 Been drawing portraits for over a year now. My first portrait was Bucky, The Winter Soldier. If you need to know, I’m a Hufflepuff and proud of it!"